Everyone is quite conscious about the online activity which he does, one part of the online activity is Google which helps you search millions of things. No doubt without this giant crawler the internet would have been lesser of useful for one can’t remember every website and can’t discover them as per his own needs. Now, Google is smart, to tailor right kind of content as per your needs, they keep a google search history. Many people are conscious that they shouldn’t keep that search history, as sometimes this google search history pops up better in the search console. This article will show you the best way to delete google search history. What so ever you search either through your android smartphone, your browser or else through visiting google.com is actually being archived on the google servers. You can delete that preserved history, now you know that why a past suggestion comes in search if you search something similar. The algorithms which google use are quite smart and these algorithms also need some data inputs to better interpret the visitors behaviours when they use google search. Happily, Google also gives you option to delete this search history. 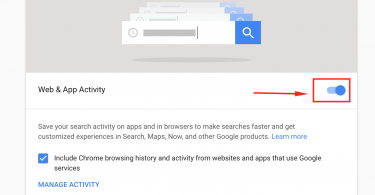 Deleting Google search history is an easy process, but the procedure is not mentioned everyone and new people often get worried on how to delete their traces of the search history on Google, because certain searches when popping up in suggestions aren’t worth public attention. 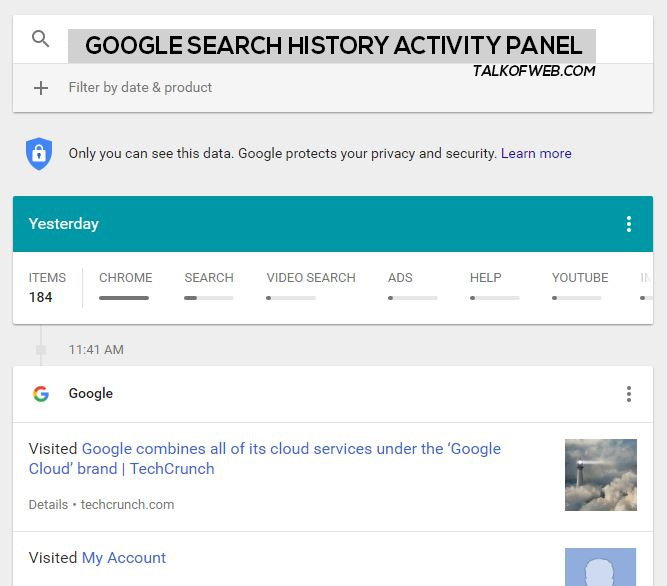 Visit Google’s Activity panel, you’ll be asked of your email and password, just put your email which you are using in your device where google search history is to be cleaned. After successful login it will take some time and a panel looking like this will open up. You can see in the screenshot and at your panel, that how Google has categorised your search history, for various devices. Now, it’s time that you delete your search history. You can see three dots on the top right corner of each card. Just click on those dots and hit Delete. If you want to delete the whole history of current day search then just find “Today” probably would be a green background title, click those three dots around that and click “Delete“. Similarly you can select your videos search on the youtube, you can also select your direct browser bar google search history which is done VIA chrome. These histories can be deleted in the similar fashion. In the screenshot above you can see the search field, here you can write what so ever you want to fine. You can write a keyword, specific to which you want to delete search history. You may also use this to find any material which you once found through Google Search. This may not be the perfect solution to filter. You can also put filters like date and products to better sort your Google search history. Thus, enabling you to delete what you don’t want anymore. This means, now you have complete control on your Google Search History.